Matthew Spoke is a blockchain technology entrepreneur based out of Toronto, Canada. He is the Founder and CEO of AION . Matthew started his career in 2011 as a Senior Consultant at Deloitte Canada. From 2016 to 2017, he was a Founding Steward at The Muskoka Group, an open platform for collaboration, education and innovation to help accelerate and drive the progress of blockchain technology for industry, government and society. In 2017 he served as a Fintech Advisor at Ontario Securities Commission. In 2016, Matthew became the Founder of Nuco, an enterprise software company building modular, secure, and scalable blockchain networks for complex, regulated markets. 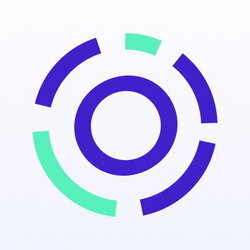 In 2017, he founded AION, a blockchain protocol designed to provide interoperability between blockchains as well as address scalability and privacy through a multi-tier blockchain system. 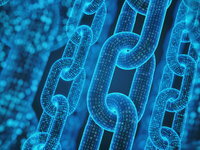 He is also the Founder of the Blockchain Technology Coalition of Canada. In 2011, Matthew received a Bachelor of Commerce from University of Ottawa where he studied accounting . During his time in college, Matthew was on the JDC Debate Team and won a gold medal as well as studied Mandarin Chinese for a year at Jiaotong University. All information for Matthew Spoke's wiki comes from the below links. Any source is valid, including Twitter, Facebook, Instagram, and LinkedIn. Pictures, videos, biodata, and files relating to Matthew Spoke are also acceptable encyclopedic sources. Other wiki pages related to Matthew Spoke.